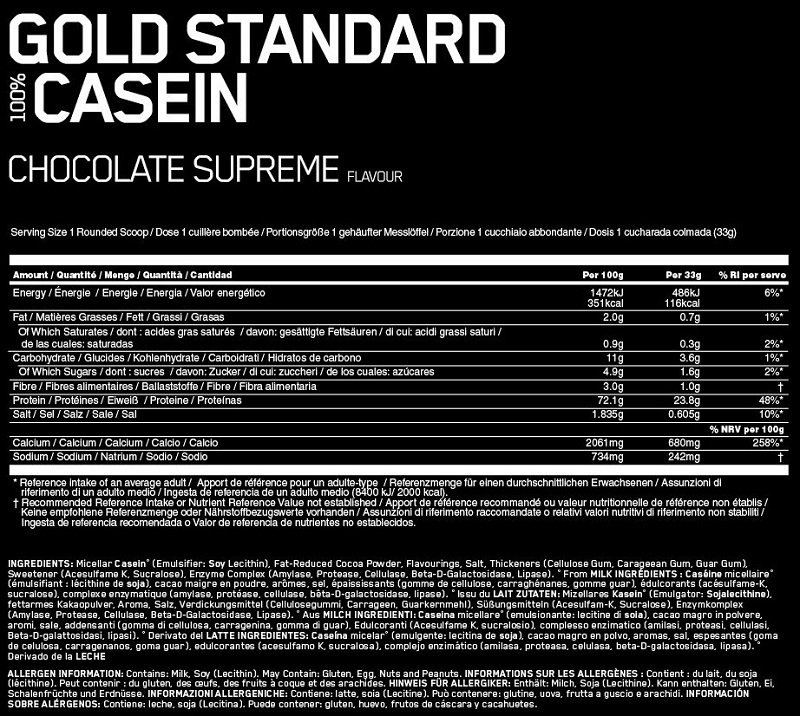 Optimum Nutrition Gold Standard 100% Casein - From runners to rugby players and tennis players to triathletes, whenever any type of athlete trains or competes their muscles need preparing and repairing to put them in the best shape next time out. 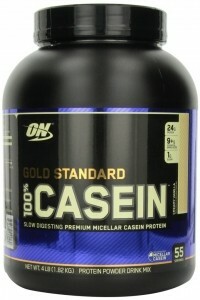 Gold Standard 100% Casein is a slow digesting protein that supports muscle growth and repair while you sleep. Each serving is packed with 24g of protein which provides a prolonged supply of amino acids overnight. Mix 1 rounded scoop in 300-360 ml of cold water.